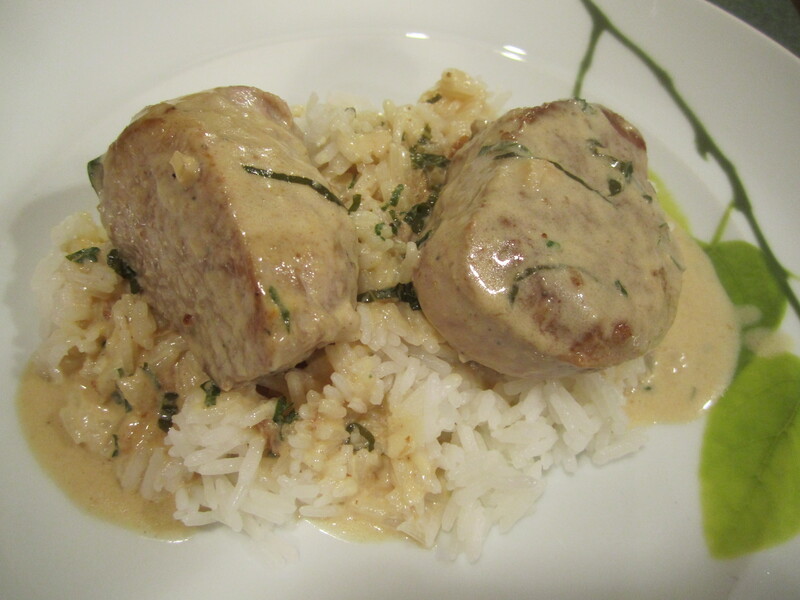 I love pork tenderloin because it’s so versatile, tender, easy to cook and it’s always available. 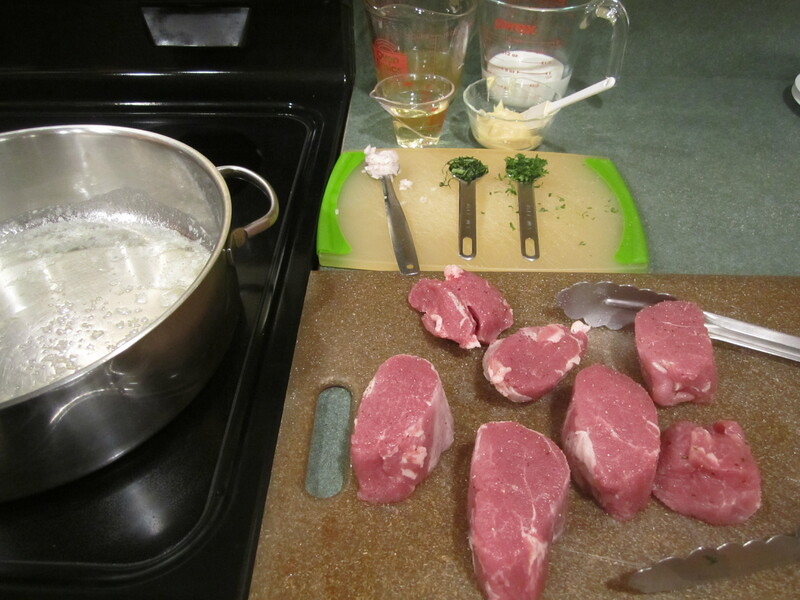 The original recipe lists 2 pork tenderloins and directions on how to roast them. You can certainly take that direction. 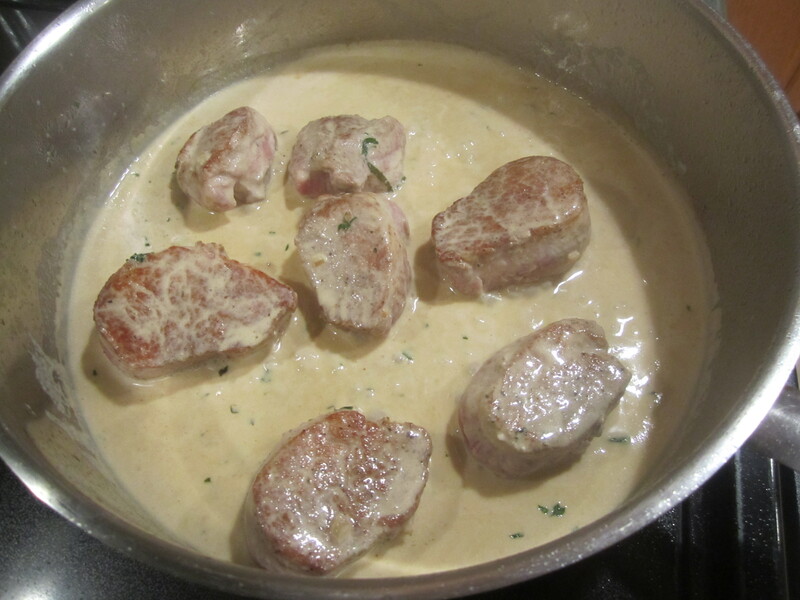 But I have chosen to use just one pork tenderloin and slice the pork into medallions but with the same sauce proportions. Either way it’s a great recipe and quick too! 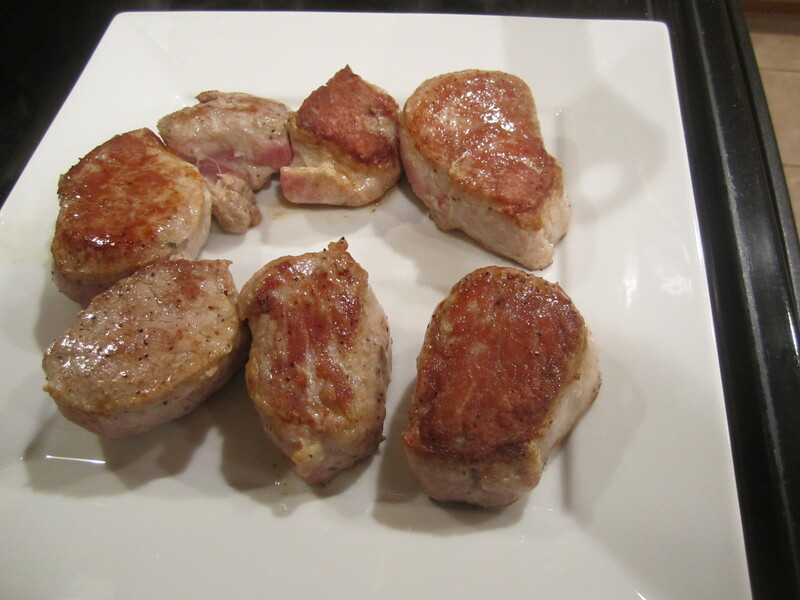 Cut pork tenderloin into ~ 1 inch thick medallions. Sprinkle with salt and pepper. 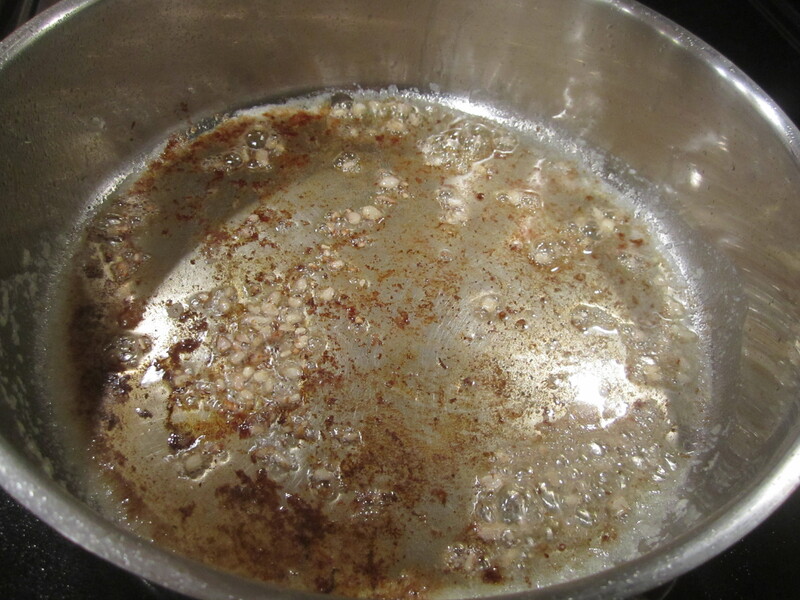 In a large saucepan, heat oil and 4 tablespoons of butter over medium heat until sizzling. 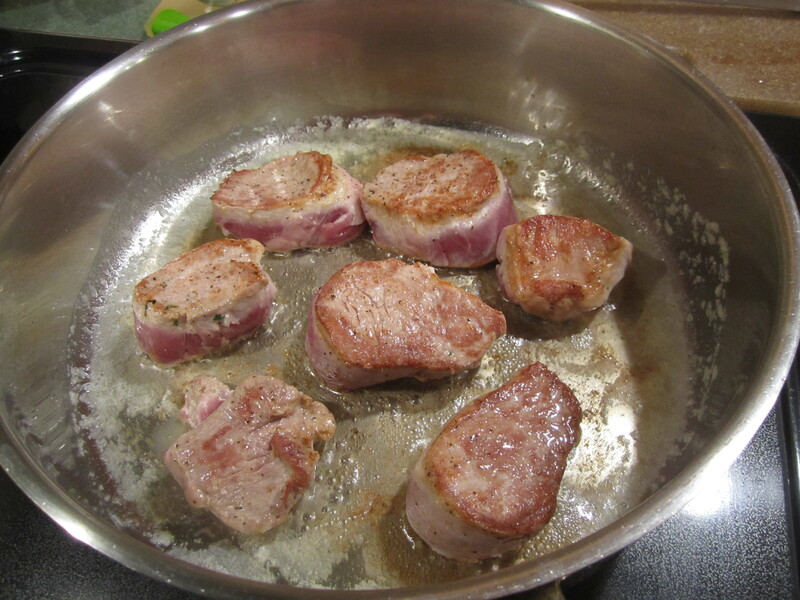 Add pork slices and cook for about 4-6 minutes on each side, until nicely browned. When cooked, set pork aside onto a plate. 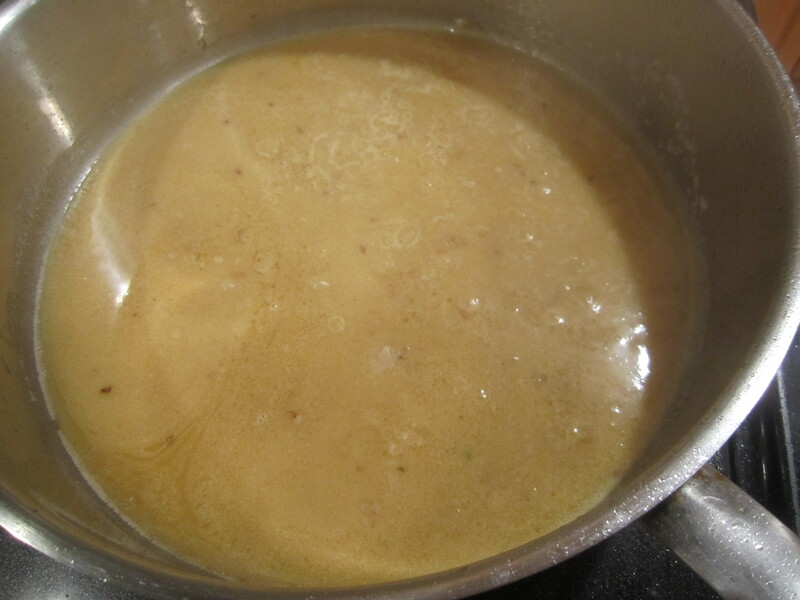 Add remaining tablespoon of butter and shallot to saucepan, cooking for about a minute. Add wine, broth and mustard, scraping up any brown bits and simmer for about 5 minutes. 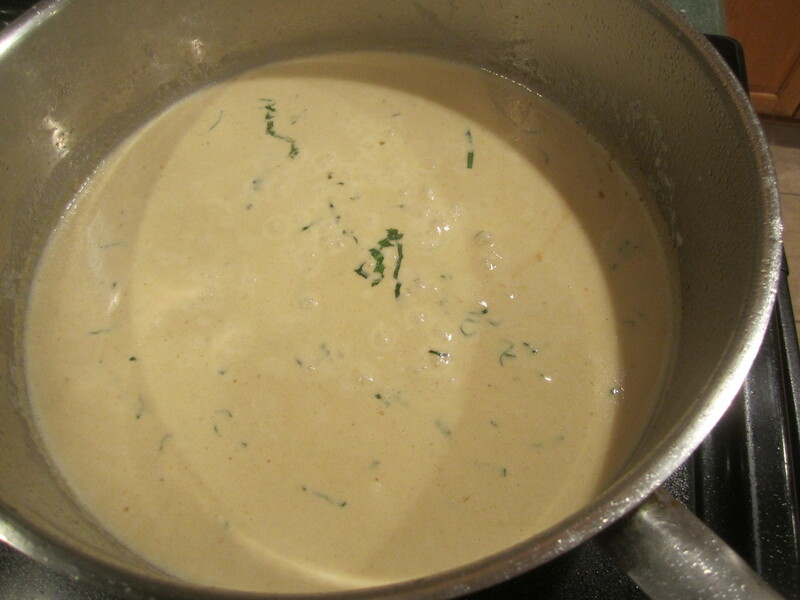 Add cream and basil and simmer until thickened, about 5 minutes. Stir in parsley. 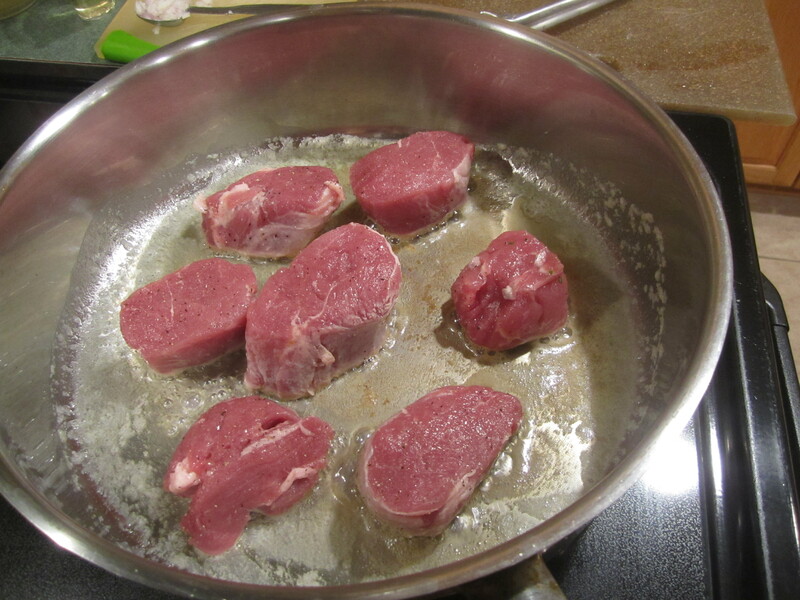 Add pork pieces, turning pieces over to cover with sauce and simmer, covering pan with top, for 2 minutes. 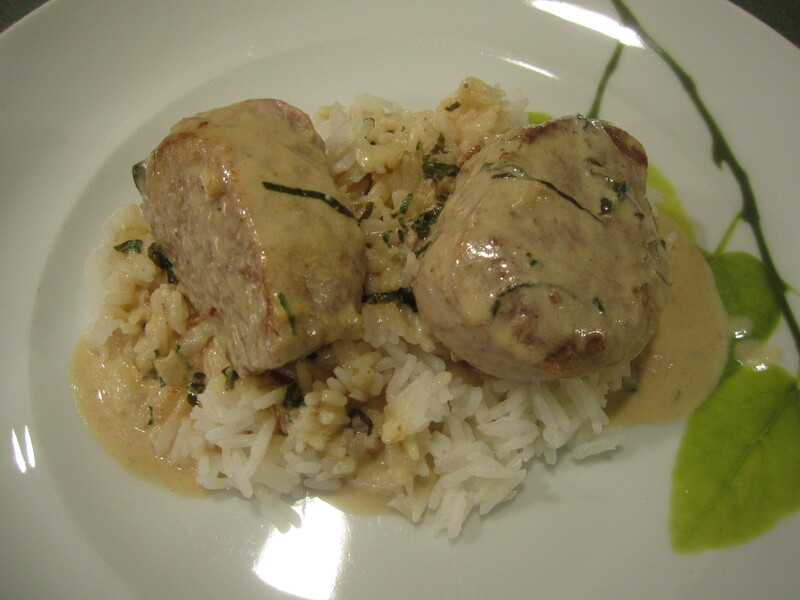 Serve pork over rice with sauce.